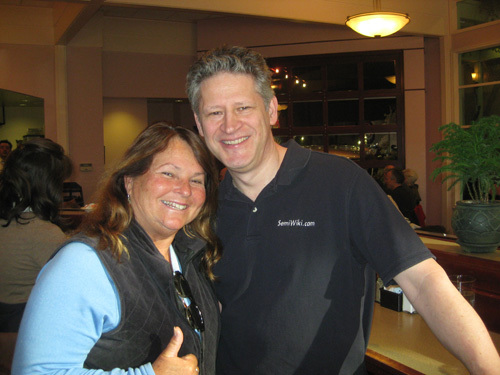 Through my networking at the Tualatin Chamber of Commerce I met several people at NetBiz, who then introduced me to Nancy Emerson, owner of www.surfclinics.com in Hawaii. I have been updating and remodeling Nancy’s site for a few years and then discovered that she was traveling to the Portland area to visit her family in Washington, so we decided to meet for breakfast at the Cadillac Cafe in Portland. Until that point Nancy and I had only talked on the phone and corresponded by email. My wife and I had a delightful breakfast with Nancy and her sister, getting to know them on a personal level along with a little bit of business. Maybe it was Nancy that brought all of this February sunshine to Oregon the past four days. Thanks for the SWEET Blog. Yes! It was so wonderful to meet U both. U got a great shot of the Caddy. Niceeeee! Nancy, I took the easy route and copied the photo from their web site. They sure don’t make cars like that any more. I can remember my dad driving cars with fins even in the early 60’s.